Do you require a drain survey? We have modern CCTV technology to diagnose your drains. 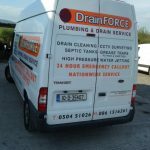 Drain Force Cleaning provide Specialist CCTV Drain Surveys using the latest equipment across Ireland . 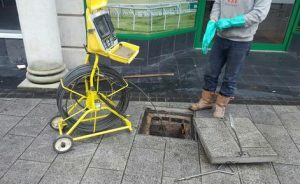 Highly trained staff using the latest digital CCTV camera equipment enables Drain Force Cleaning Engineers to carry out detailed drainage surveys of all drainage systems to identify current condition, damage or blockages. Drain Force Cleaning continually upgrade their digital CCTV systems and software to provide the very best surveys and reporting mechanisms for individual and institutions requiring a drainage report. 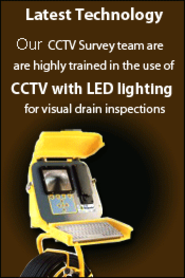 Our CCTV survey teams arehighly trained in the use of CCTV with LED lighting for visual drain inspections. Tree roots will continue to grow causing further damage and/or blockages.This can be easily detected through a CCTV survey. With the aid of CCTV drain surveys, the cause can be evidenced and solutions found.